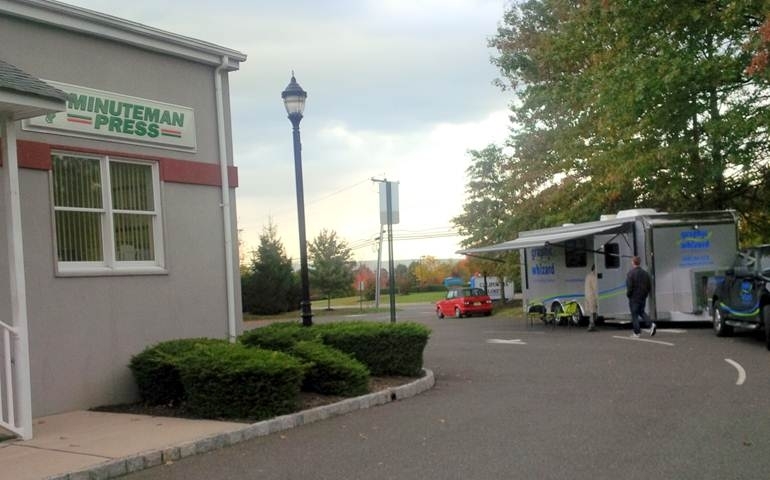 After New York our Man on the Road Jeff was acquainted with approximately 200 miles of Best Tech’s territory in New Jersey, made 7 stops and enjoyed more than 11 quality demos. Chris Harrington (GW Director of Sales) tells us Charlie Bivona of Best Tech did an awesome job of organizing his Graphic Whizard road show. 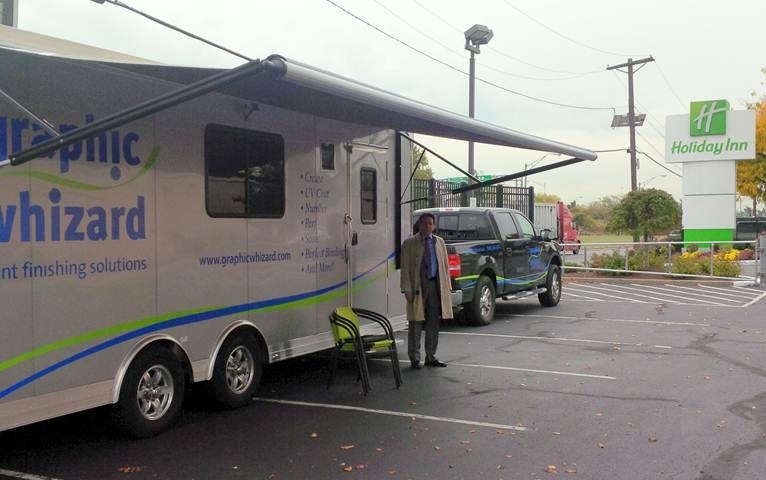 Charlie arranged a common central location for some customers and then the road show travelled to his customers who felt that they could not take the time to leave their businesses. 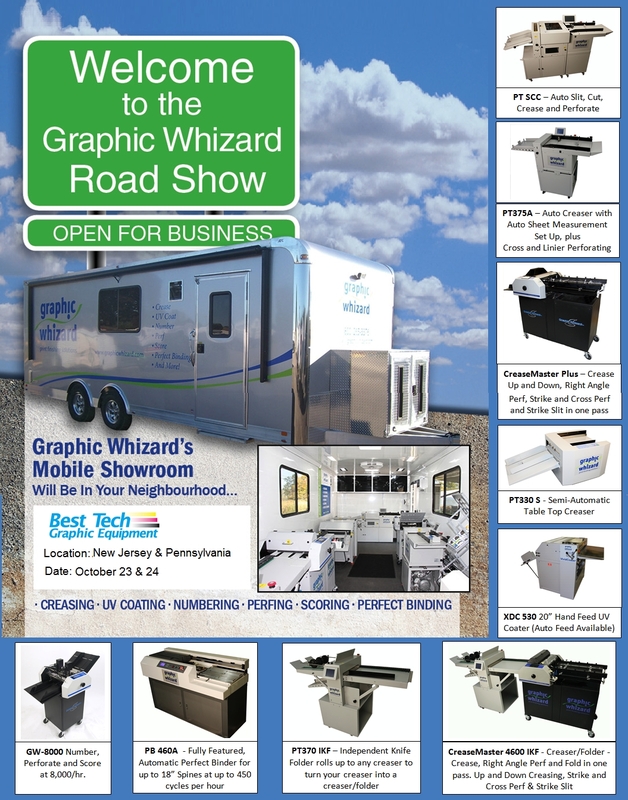 1) Email Blast Charlie sent in advance of the Graphic Whizard’s road show arrival 2) Charlie under the trailer’s awning and 3) the trailer parked outside of one of Best Tech’s Minuteman Press customers.